I should have made this my St. Patty's Day post... but, I didn't think of it then. Better late than never, I say. 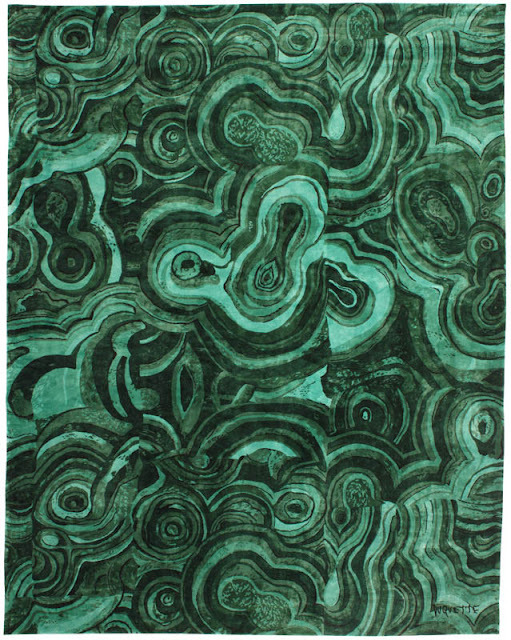 I have been loving green more and more these days, and malachite just adds that extra touch of luxe to make it even better. Malachite is everywhere these days, and I couldn't be happier about it. 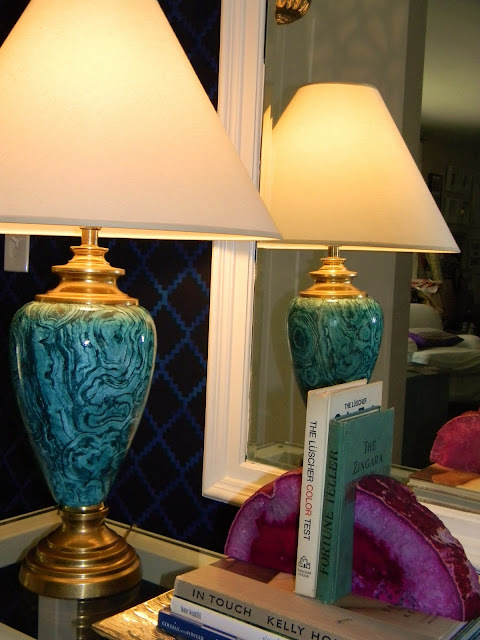 Here are just a few options out there if you want to bring the rich look of Malachite into your home! Cole and Son's Malachite wallpaper (above) that looks similar to the first picture of the post. Some of Etsy's Malachite offerings as shown below. There is even a malachite rug by Tony Duquette. Uh, yep...she did that. I will be trying this for sure! Isn't it amazing? LOVE! So whatcha think? 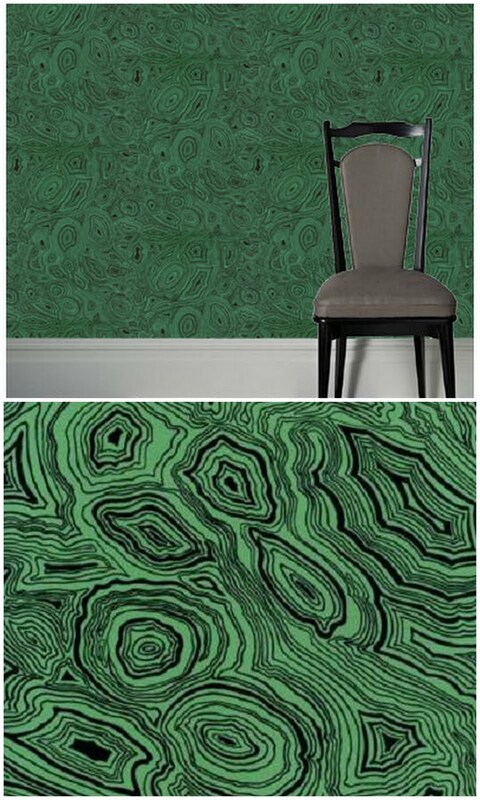 Are you as much of a fan of Malachite as I am? It's just so classic and rich. I am planning to add a piece to my home as soon as the opportunity presents itself! 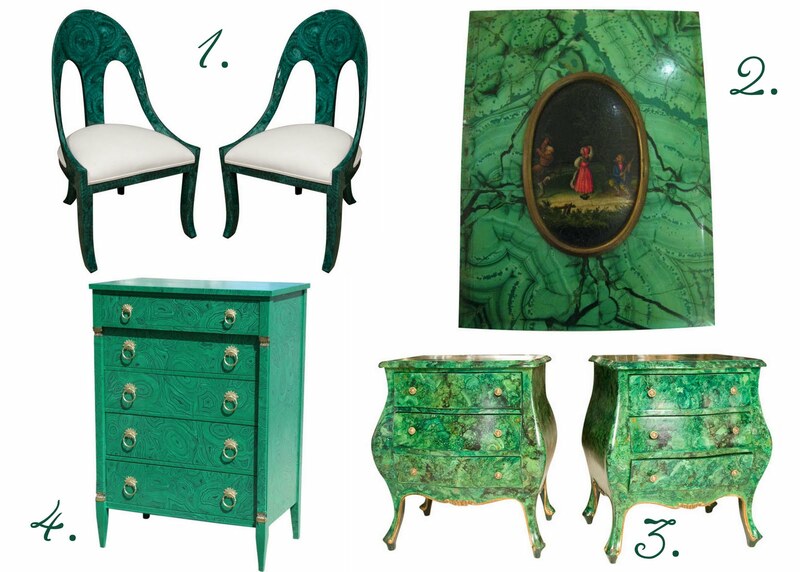 Love those malachite chairs from 1st Dibs! And that rug is gorgeous! Great picks Nichole!! Oh yeah. So gorgeous... I especially like the two side tables. The shape and the green make it out of this world! Love, love, love the malachite side table from Etsy, not to mention Danika's DIY! I love what Danika did! So cool. I have never tried decorative painting, but with her easy diy posts I might just have to try it out! That decorative finish is amazing! 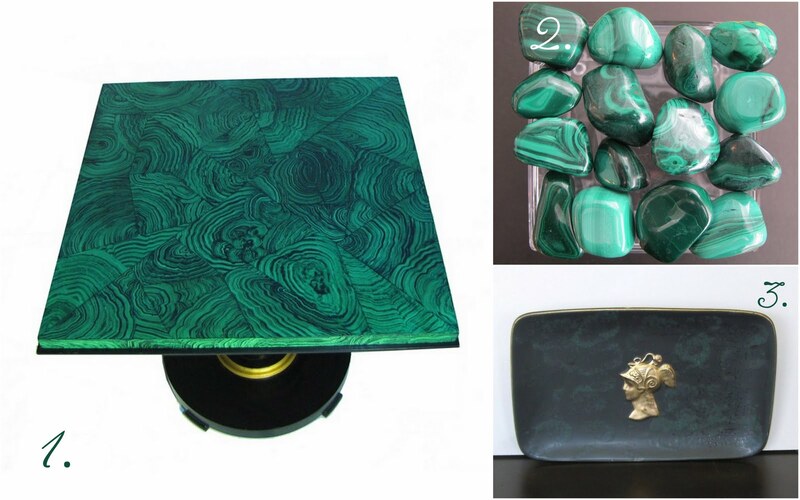 I don't have the budget/ am in a rental so I can't add a large piece, but I've been eying the malachite box at Furbish! 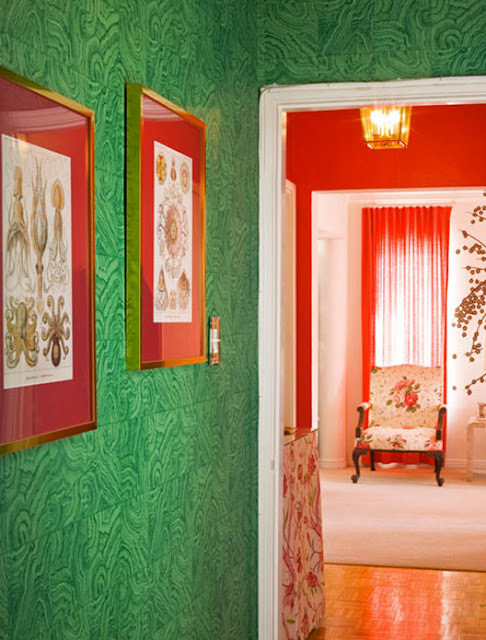 Love those Malachite chairs from 1st Dibs. Going to check out that fab DIY. Thanks for sharing. Thanks so much for the link my dear. Those chairs you posted earlier really got my wheels turning! Would love to do some of those next. Thanks for sharing :) i like your new profile picture, pretty.